When your eccentric billionaire owner runs your club into the ground, then twists the knife in your back by inexplicably firing the best thing that happened to the club in recent years, then proceeds to trash that coach in the media, you have to know that it’s all going to come back and haunt you. The coach who was fired, is of course Mihajlovic, and he is bringing Torino to the San Siro to haunt us. Though historically, Milan have done well against Torino, the summer fixtures are reversed this time around. So a Milan win or even a draw would be a great way to start the season, but beware of Karma. Meanwhile, Mihajlovic has been whipping Torino into shape. Not only have they had more consistency in recent years, but they’ve been busy in the mercato this summer, too. They have been busy replacing key players that were sold, but they’ve reinforced well. And their last five matches have been four wins and a draw, including a 4-1 Coppa Italia win over Pro Vercelli last weekend. For that match, Mihajlovic lined up Padelli; Bovo, Peres, Moretti, Barreca, Vives, Acqua, Obi, Ljajic, Martinez, and Belotti. While Peres has since gone on loan to Roma, he’s also got some injury woes, with Avelar, Zappacosta, and Benassi out injured, and Castan, Falque, and Ajeti questionable. But whether Maksimovic will be there, or in Serbia, or at another club remains to be seen. At least he knows he’ll have Ljajic there, since he won’t be required to sing the national anthem. "I can make your hands clap"
Mihajlovic’ statements in the media have been quite classy, especially after the lame comments Berlusconi made. But he did indicate that winning would be doubly enjoyable this first round, which is totally understandable. He’s probably got more champagne on ice should his team prove his worth for him on Sunday. 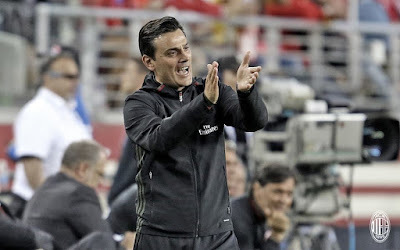 Montella has also got something to prove, although without much of anything to indicate that it will be proven. He’s followed Mihajlovic once again, and imposed a new possession-based system on the team. Or tried to, anyway. Performances in the preseason were quite poor, and he’s got some injuries of his own to deal with. 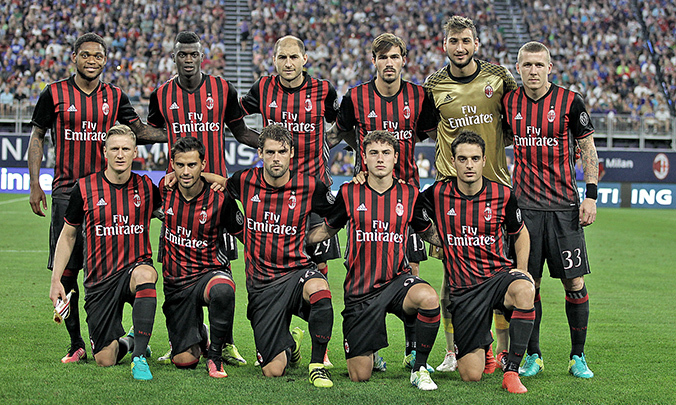 Zapata, Mauri, Lapadula, and Vangioni are expected to miss with injuries, while Romagnoli, Suso, and Niang are reported to be fit. New signing Gomez should be available, while it is still unknown as of this writing whether or not Sosa will be available. Despite the history of this matchup, This is where the results start to matter. And even if Montella is fond of putting the responsibility elsewhere, the fans will expect him to step up and take responsibility if he lines up a Bertolacci-Montolivo-Poli midfield again. "Nobody fires Sinisa. I will have my revenge." 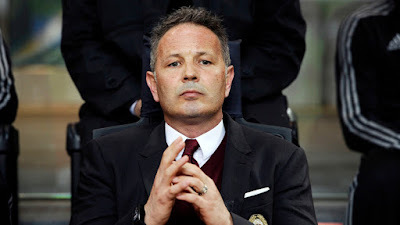 Mihajlovic said this week that when he left Milan, they were in Europe and in the Coppa Italia final, and that we all know what happened after he left. Torino may have finished 12th last season, but they now have a coach that brought Milan back to life last year and had us much higher on the table, so expect him to do better than 12th this season. Starting with bringing a little Karma back to Milan.